Today's dragon is a wise, ancient female--Rhinotaur's mom. Name That Dragon! Yesterday's winner was :paula, with her name, "Pyropterix." I really liked this name, enough that I was going to veto the judges if they didn't choose it. But it turns out, "Pyropterix" was their pick too! :paula happens to run a really great book blog, click on her name and check it out! 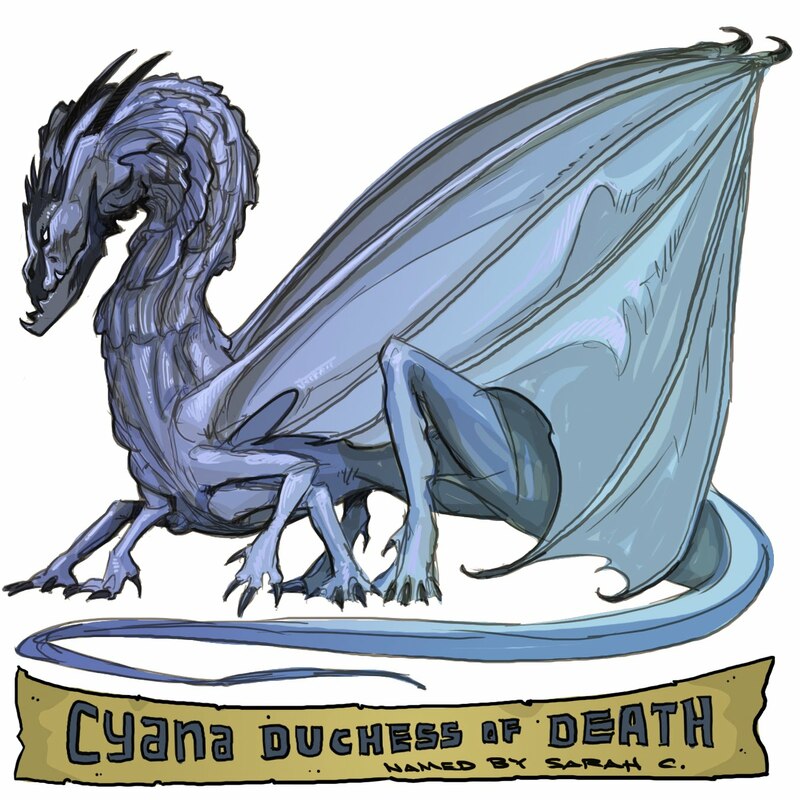 Cyana Duchess of Death--instead of shooting fire these nightmare shoots shards of ice. grekulnia skrawluk of the frozen wasteland.